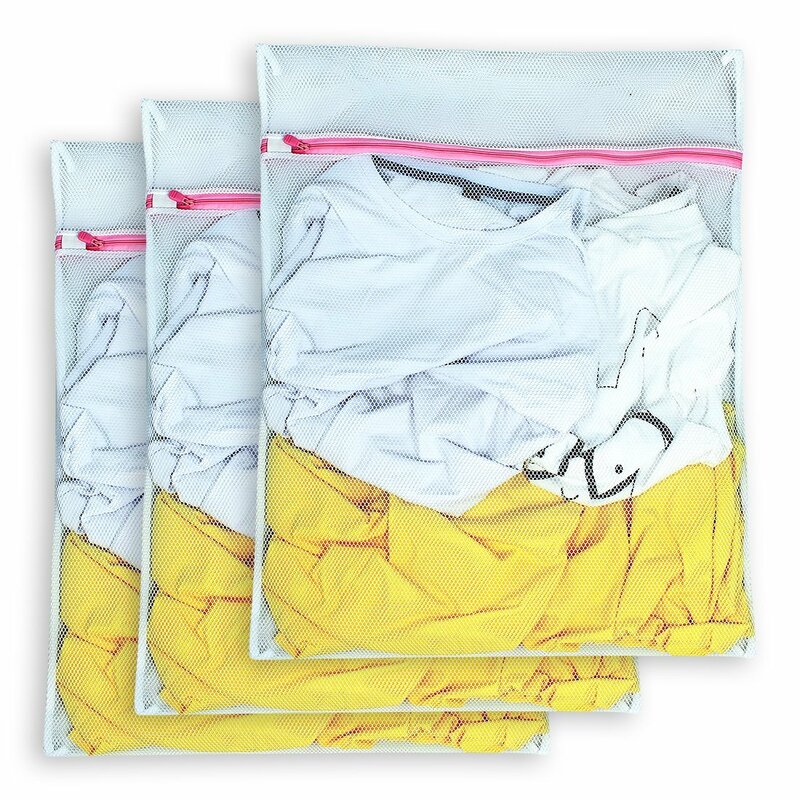 Only 4 left in stock - order soon. 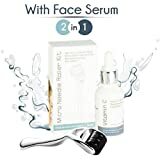 Sold by FAMEBiRD and Fulfilled by Amazon. Gift-wrap available. 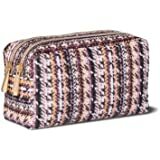 ❤PREMIUM MATERIAL: This makeup bag is comprised of high quality offered fabric, lining-nylon. (Note: cosmetic accessories not listed). 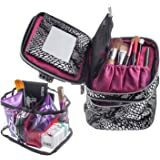 ❤NOVEL DESIGN: The portable travel makeup bag, Design yourself internal compartments with the adjustable padded dividers. You can set the space layout. 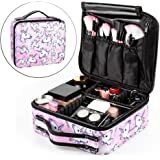 ❤PLENTY OF STORAGE SPACE: This 3 layers cosmetic organizer has enough space（9.8 x 8.3 x 4.7 inches） to house your makeup and cosmetic accessories, like lipstick, lip gloss, makeup brushes, eye shadow, makeup palettes, hair brushes, skin care products and so on. 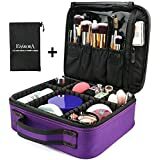 ❤PERFECT TRAVEL MAKEUP CASE: Portable and lightweight design, with waterproof, shockproof, anti-wear and spill-proof interiors. You can get your cosmetics to anywhere. ❤FAMEBIRD's MISSION - Is to offer the best products at & services you want. 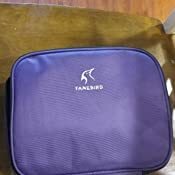 All FAMEBIRD items go with a 100% satisfaction guarantee, 60 days replacement warranty. Sold by FAMEBiRD and ships from Amazon Fulfillment. 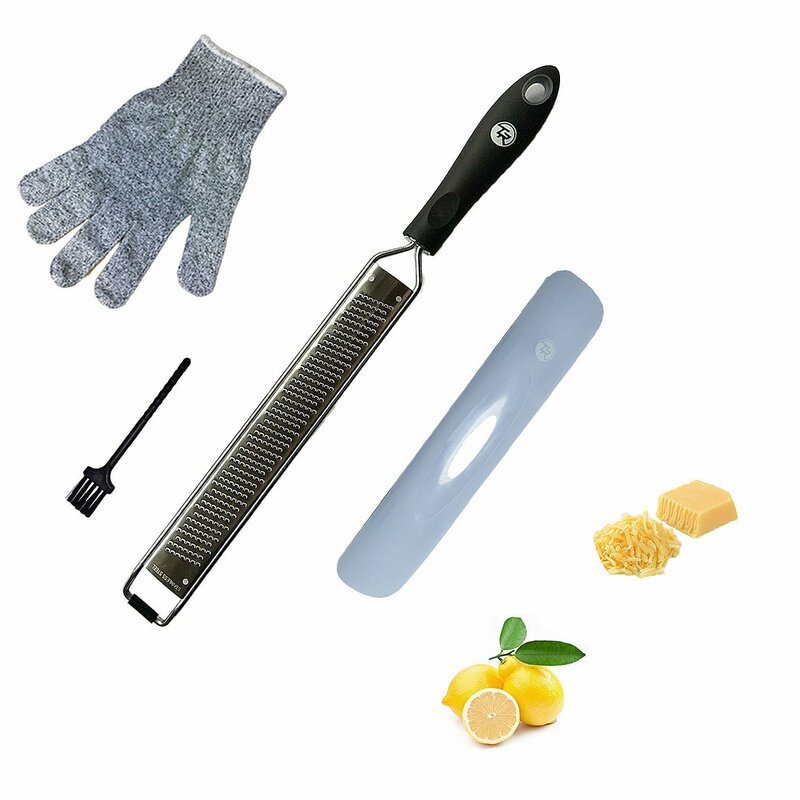 Time Roaming Cheese Lemon Grater Kitchen Tool With Sharp Blade, Protect Cover, Anti-Cutting Glove, Cleaning Brush, 15.8"
It's a great professional makeup case, perfect for makeup artist or beginner. Fine workmanship and high quality material. 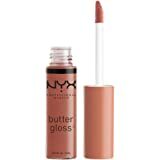 It has enough space to storage your daily makeup. 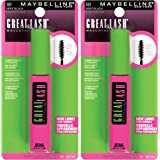 Like lipstick, lip gloss, makeup brushes, eye shadow, makeup palettes, hairbrushes, skin care products, creams, nail art products, perfume, toiletry, travel accessories or men's shaving kit. etc. 1. Delicate Looking & Workmanship. 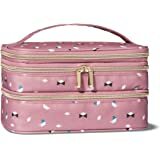 The tidy and fine close stitching ensure the Makeup Organizer bags are sturdy and durable. 2. 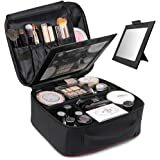 Makeup Train Case Crafted from superior high-quality materials, durable, solid frame, not easy to deformation. Easy to clean. 3. 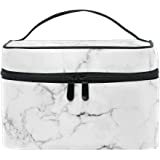 Cosmetic bag with a padded handle is very handy for your everyday use for work, home or trip,you can bring all cosmetics with large capacity all the time,keep your beauty everyday and everywhere. 4. 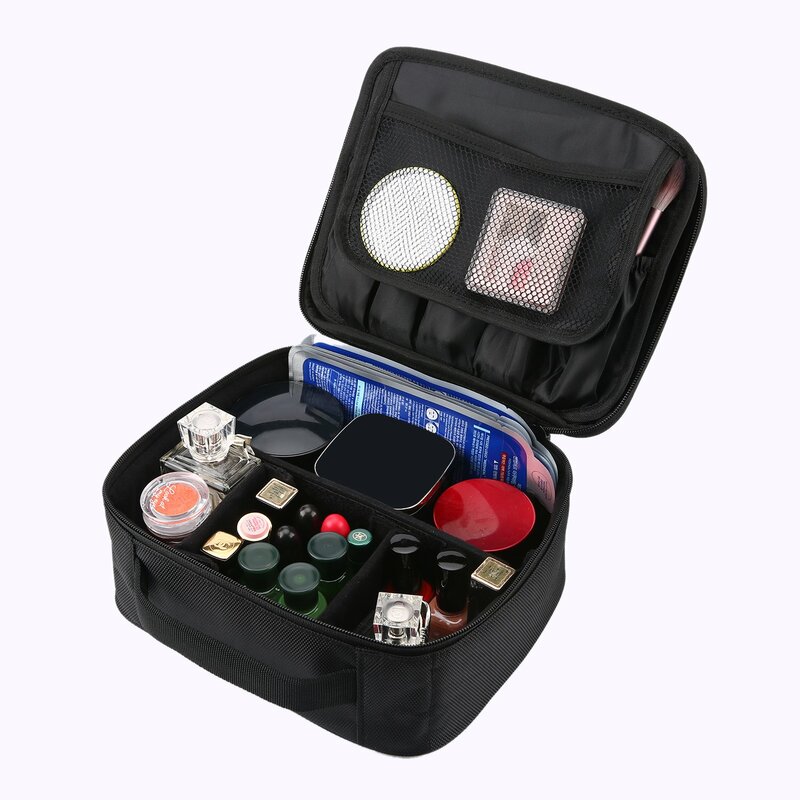 Multi-compartment, large capacity, you can put a variety of cosmetics and make-up tools. Partitionable design makes you can also design your own compartments with adjustable dividers. 5. 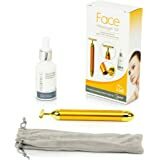 Great Gift Idea: Amazing gift for family, friends, co-workers, presentations, birthdays, holidays and more. I like organizing small items and the travel bag works well for everything I need. The material is thick and the quality is good. 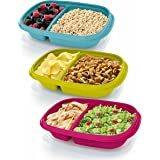 You can decide which divider you want to fit in your items. Will recommend to friends. 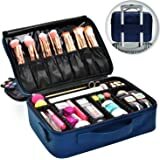 I bought this for my daughter to keep her makeup organized in her bathroom.. She loves it because is can easily be zipped up to bring with her on the go. I personally love that there are separate compartments for makeup and organizer sleeve's for brushes.. I highly recommend. 5.0 out of 5 starsVery helpful and perfect size. I live in two homes hours away from each other. 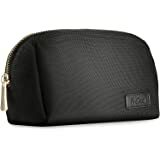 This has been the perfect traveling case for my skin products, makeup and essentials. Thank you! Nice to have most of my makeups in one box. Great size, color and material. It's great that I can put all my cosmetics in one bag. The quality is good. I like it and will recommend. 4.0 out of 5 starsIt looks like a lunch box! 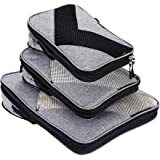 This travel bag looks very sturdy that can protect all your delicate stuff. The size is good when you travel with it because it won't take much space from your suitcase. The quality is good and compartmentalized. You can put all sorts of your small stuff. 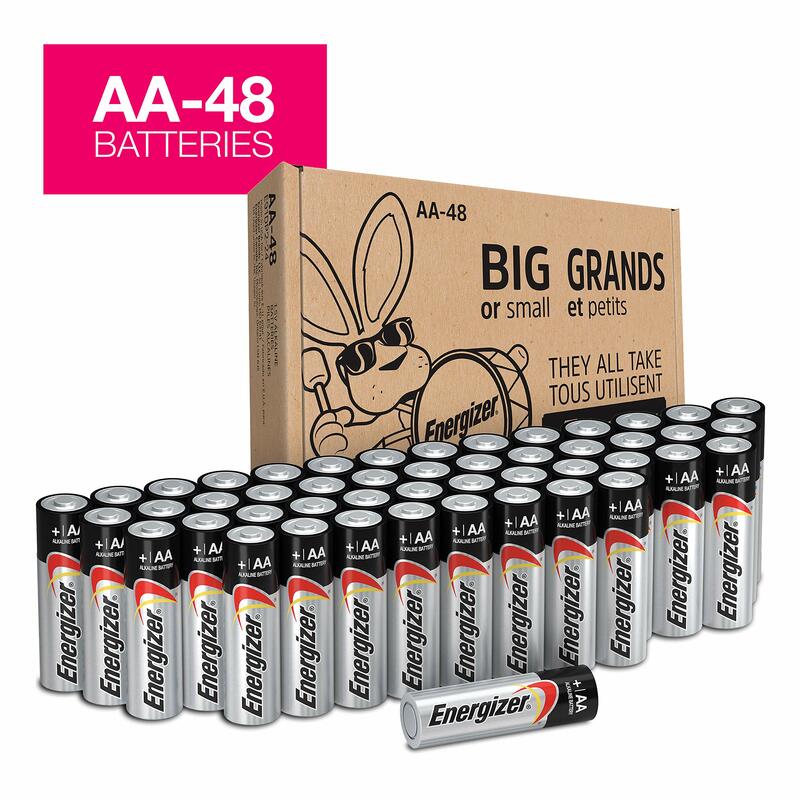 Bought as a lightening deal and got an exceptionally good price. 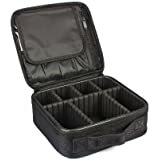 It’s sturdy, optional sections inside with Velcro, brush compartments and extra mesh slots. 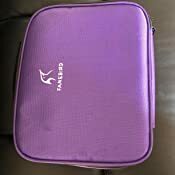 I have a toiletries bag, but always have other small bags with makeup, pills, and other essentials. This bag will allow me to combine all those little bags that float around in my luggage. PERFECT is how I’d describe this bag. Really nicely constructed and zipper works smoothly! !